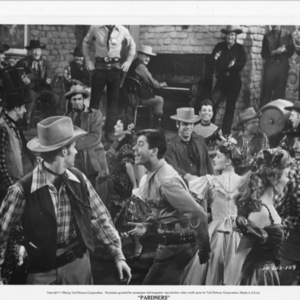 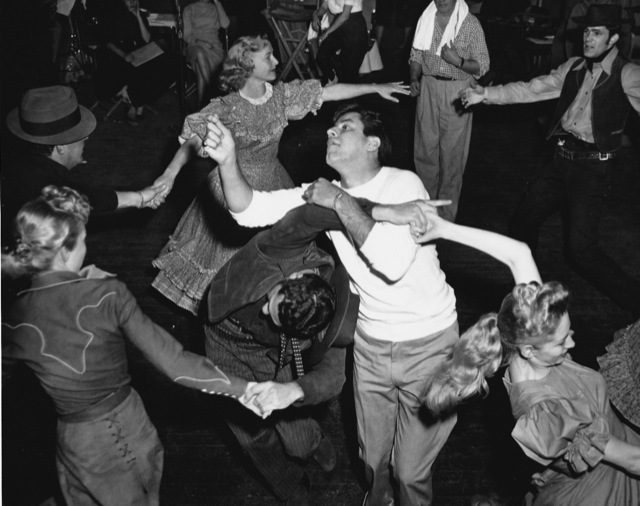 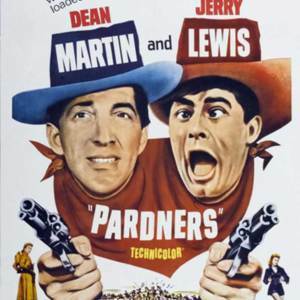 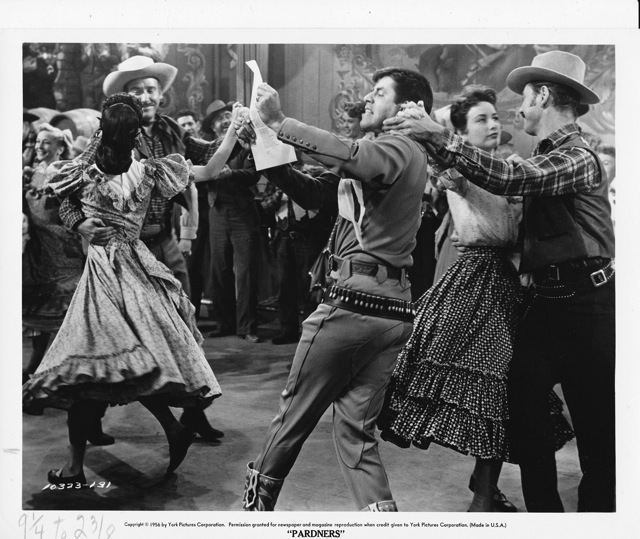 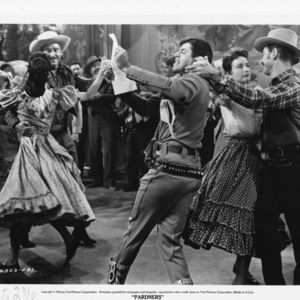 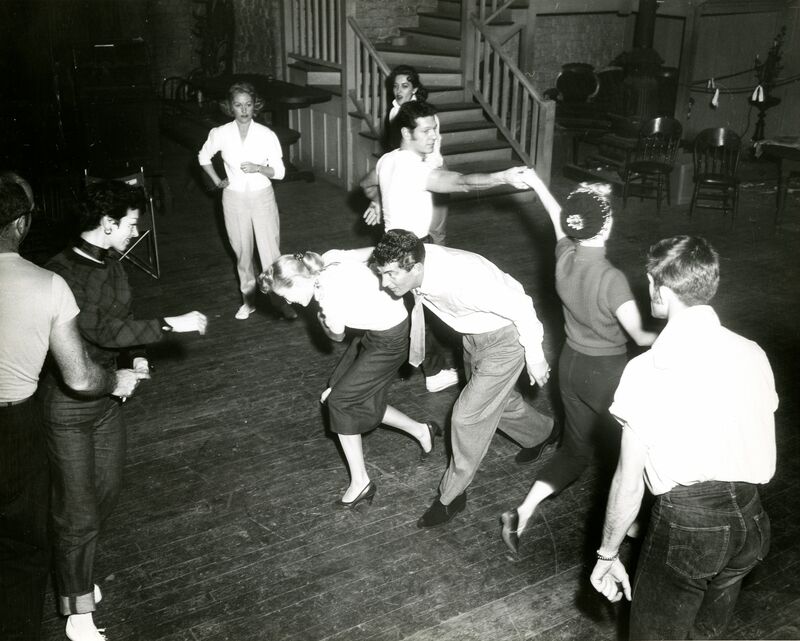 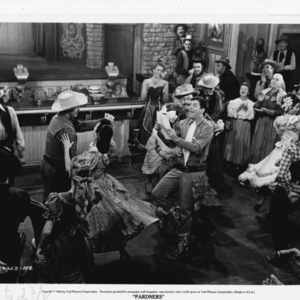 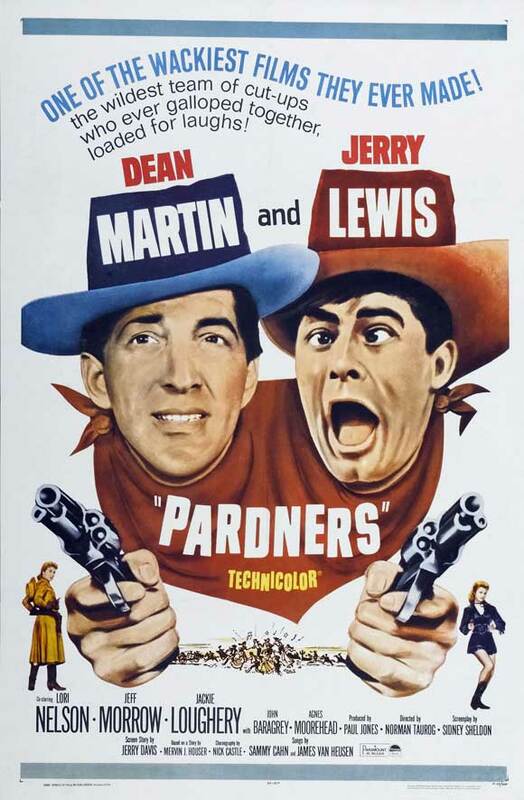 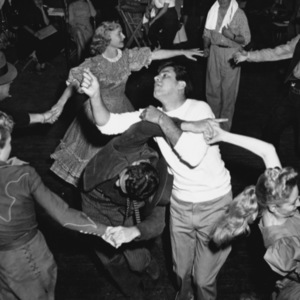 The 1956 film Pardners, starring Dean Martin and Jerry Lewis, originally had a square dance sequence with Jerry Lewis as the caller, testimony to the role that square dancing had in American popular culture at that time. 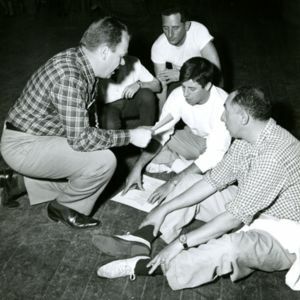 Bob Osgood coached Jerry Lewis in the art of dance calling. 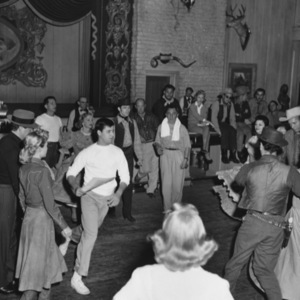 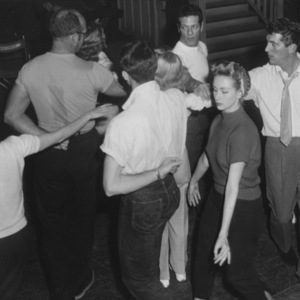 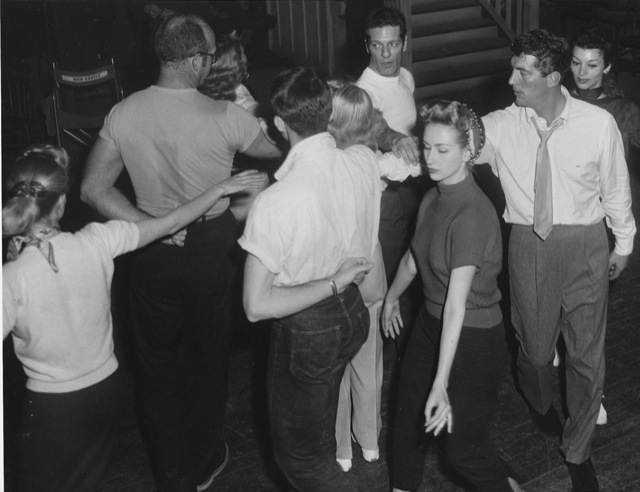 The Additional Files includes a short clip from the trailer, but the actual dance sequence was cut before the film was released. 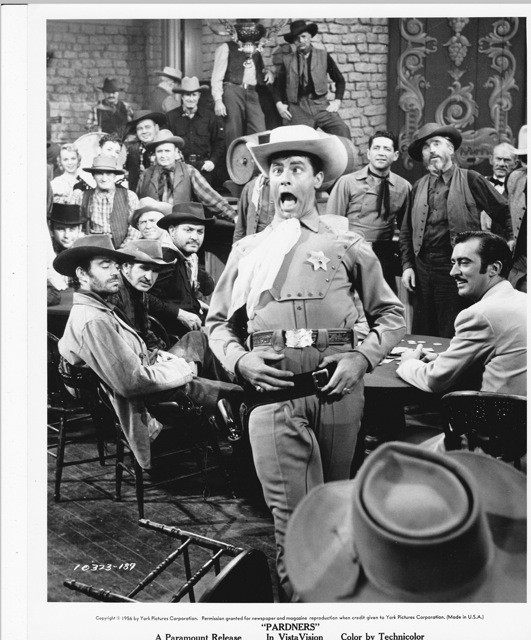 (If anyone has any leads to where we might locate those outtakes, please get in touch.) 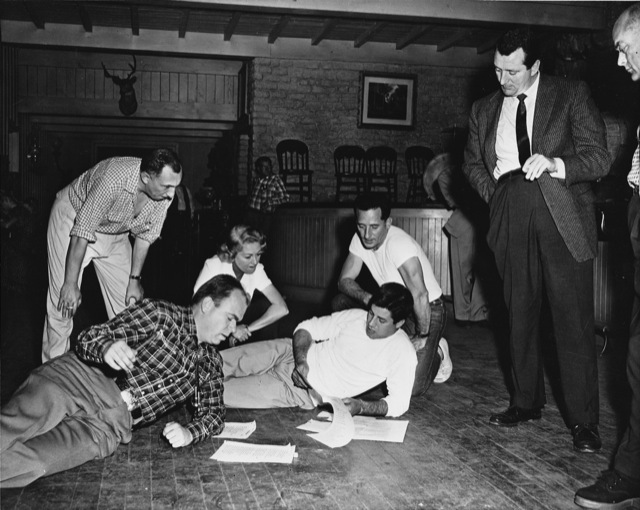 In addition to the photographs from the rehearsals, Additional Files includes the script of the calls. 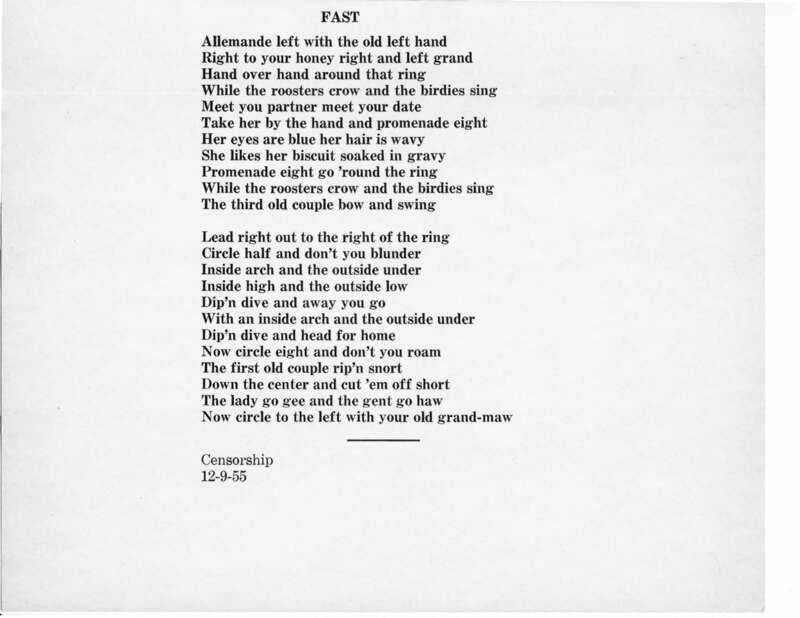 The captions below were provided by Bob Osgood and were found in his papers at the University of Denver. 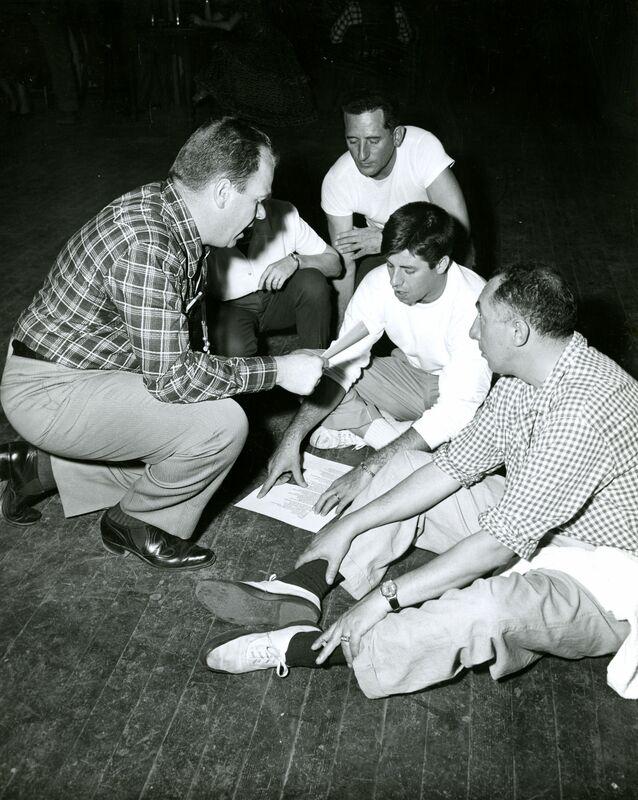 001 Choreographer, Nick Castle (standing) looks on as Bob Osgood (foreground) goes over the calls with Jerry Lewis. 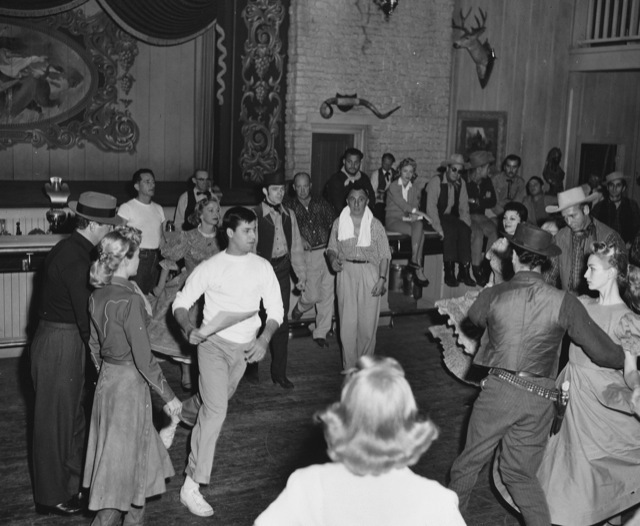 003 Once the routine has been learned, LEWIS “runs” thru his action with the full cast. 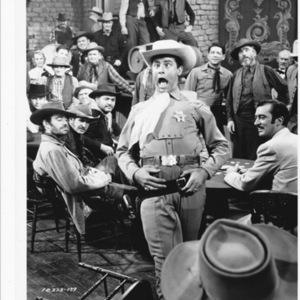 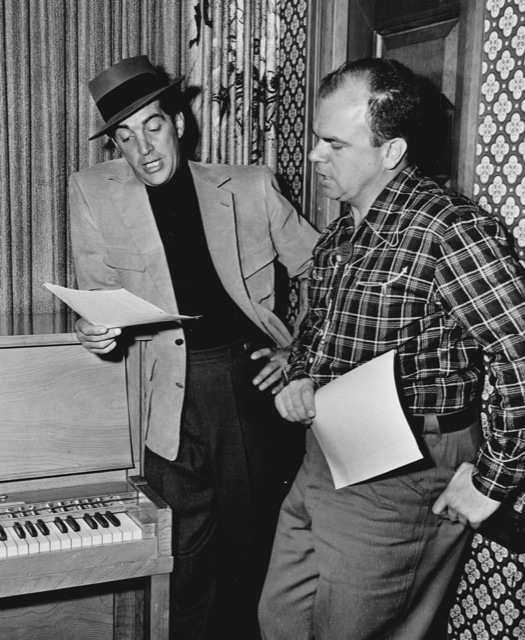 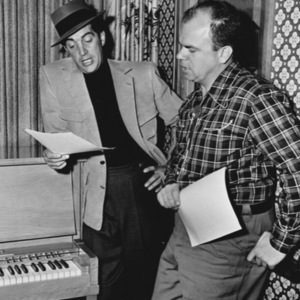 0011 At table, left: JACK ELAM as Pete; BOB STEELE as Shorty; JERRY LEWIS (center) as Wade. 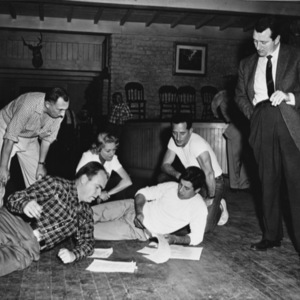 JOHN BARAGREY (at table right) as Dan Hollis. 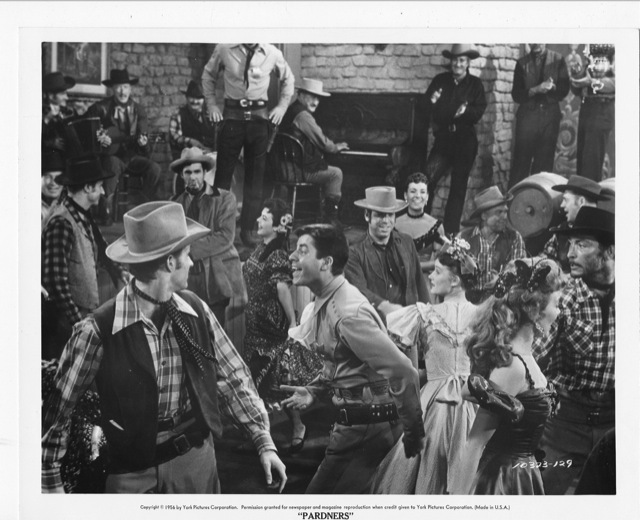 0012 JERRY LEWIS (center) as Wade. 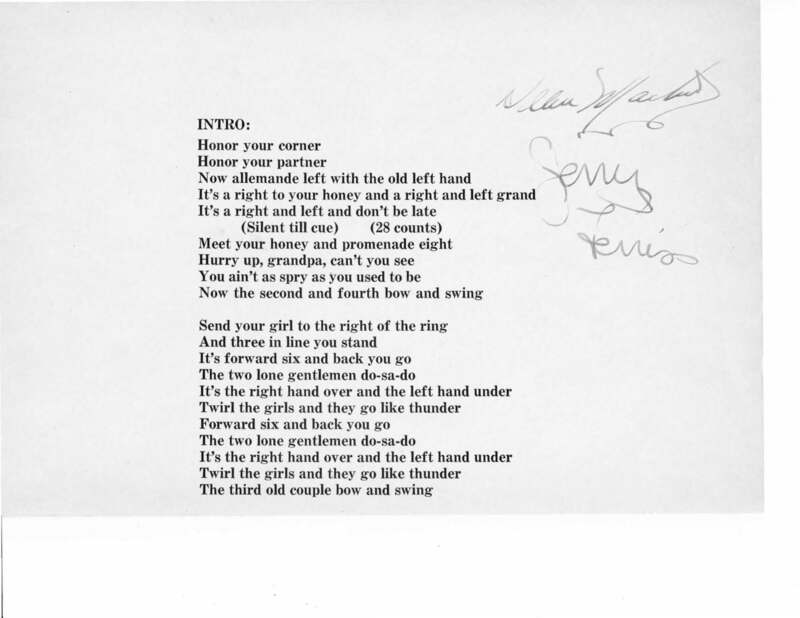 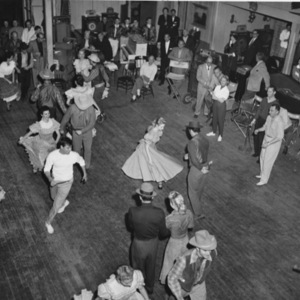 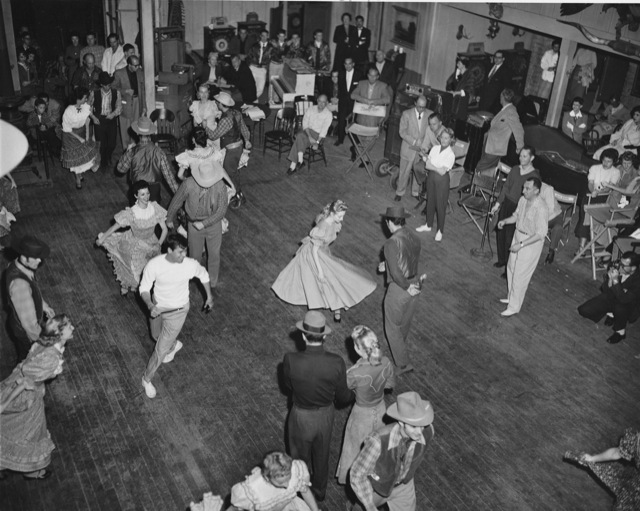 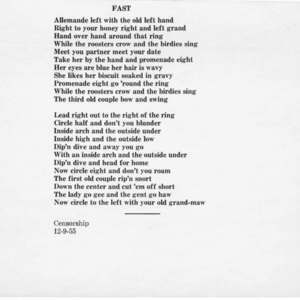 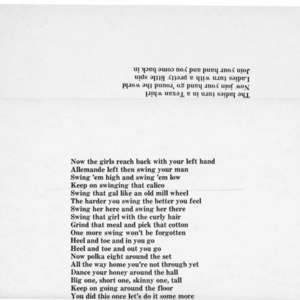 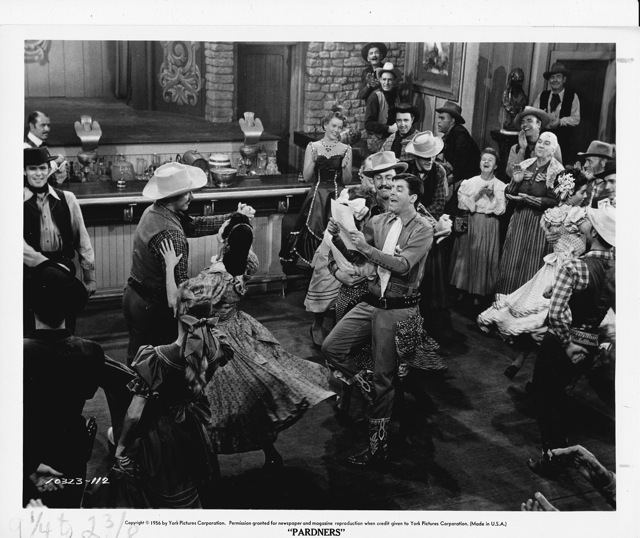 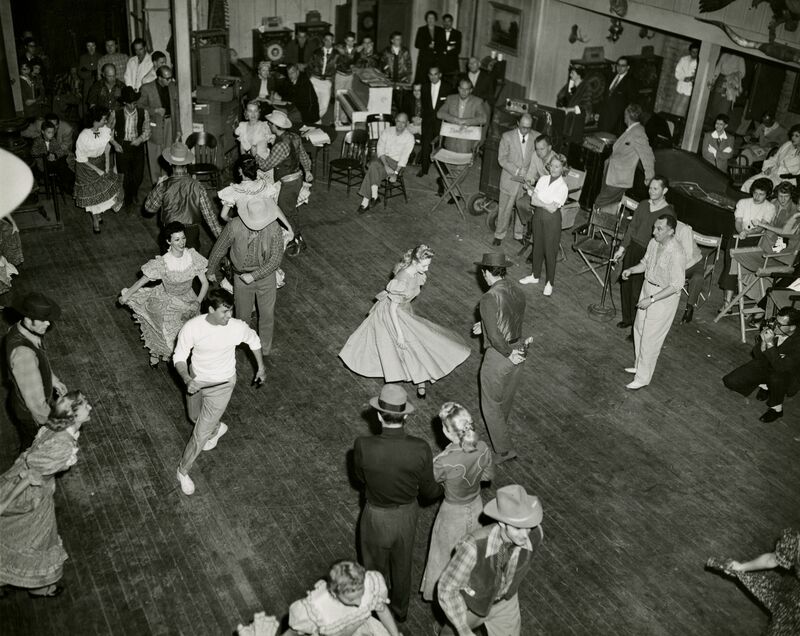 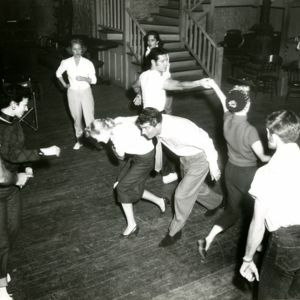 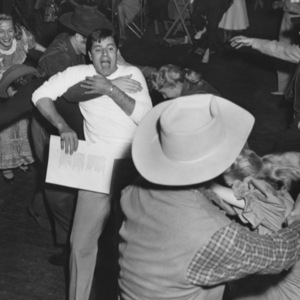 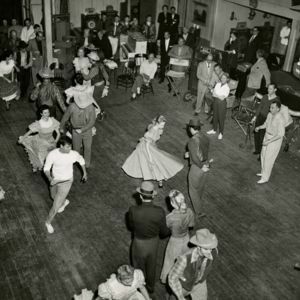 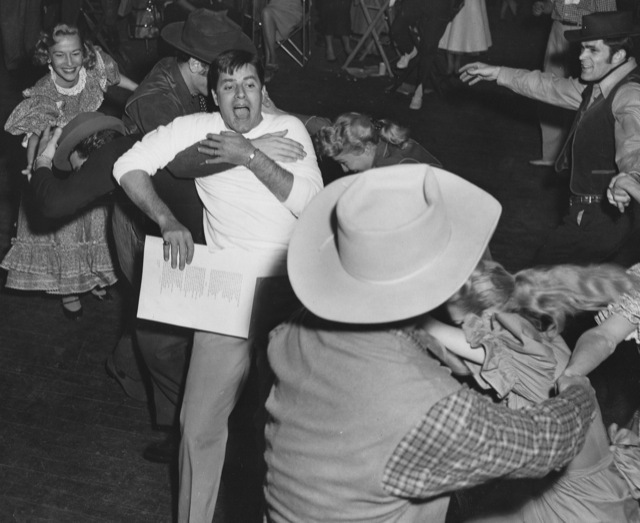 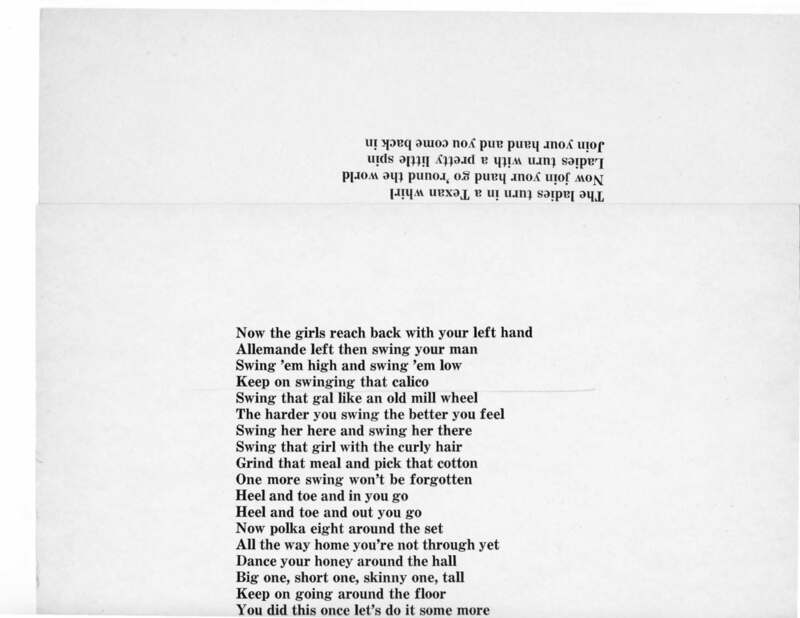 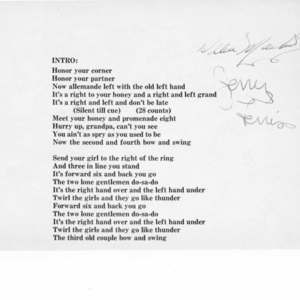 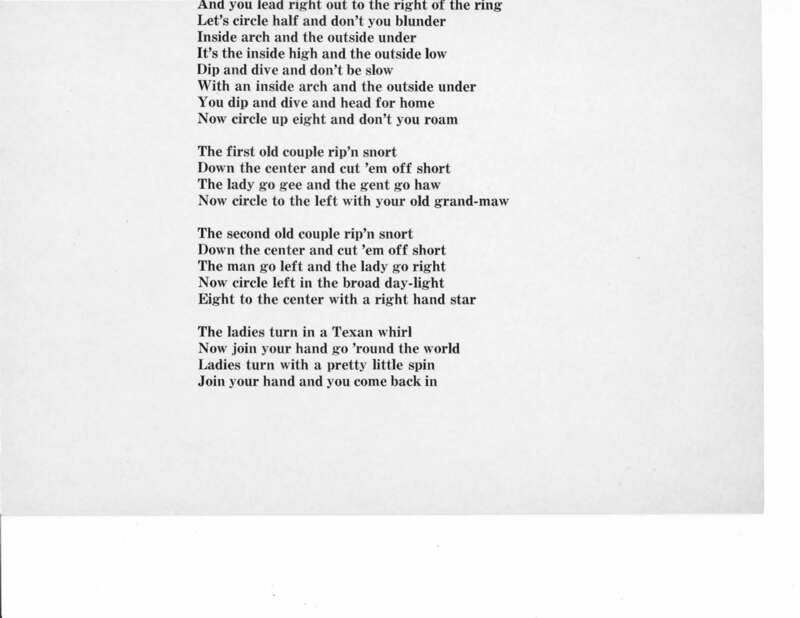 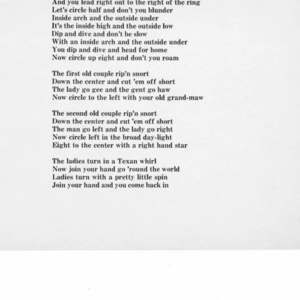 Bob Osgood, “Pardners - Jerry Lewis square dance,” Square Dance History Project, accessed April 24, 2019, http://squaredancehistory.org/items/show/1331.